So, apparently, the crowds in Gotham aren't saying: ?que paso? i.e. What's up? A full review of the Dark Knight Rises will be on our website soon enough: www.theverbalmosh.com and here Episode 176 here and on our Facebook page. 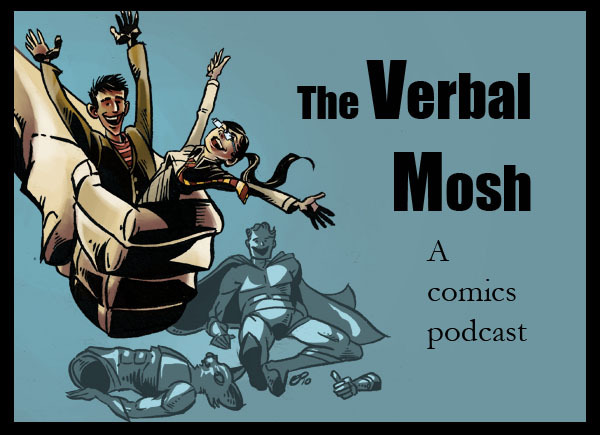 This week, The Verbal Mosh reviews: Avengers vs. X-Men #8, Before Watchmen Silk Spectre #2, Daredevil #15, Fantastic Four #608, Hellblazer #293, Justice League #11, Nightwing #11, and Wonder Woman #11. Write us an iTunes review. Do it! All the cool kids are doing it.